In this article, Maitreesh Ghatak contends that while the Union Budget 2018-19 deserves some praise for signalling priorities given the constraints, it disappoints in terms of its vision of reforms. If politics is the art of the possible, then a budget is the art of the feasible. It is where soaring rhetoric of possibility meets the unpleasant arithmetic of feasibility, and dreams of grandeur melt away in the cold light of the day. A budget may be dull and prosaic (or, more accurately, numeric) but like weather reports those dry numbers have a direct bearing on our daily lives. First, it is in some ways the most honest reflection of the government’s immediate priorities given the limited fiscal resources, the realities of the economic challenges, and political compulsions. Unlike poll or policy campaigns, you literally have to put money behind your words, whether it is funny money or real money. Second, it also offers a glimpse of the government’s vision – both its own long-term goals and the reforms needed to achieve them. The latter in turn reflects its assessment of how the economy and the policymaking process works. Whatever is one’s political view, no one can envy the task that Arun Jaitley had in hand last week while presenting the last full budget of the Narendra Modi government that was elected in 2014. Despite cries of ‘populism’, I think it deserves some praise in terms of signalling its priorities given the constraints. This is reflected in the enhanced expenditure on the rural sector, highways, railways, and the healthcare plan, as well as the willingness to reintroduce a tax on long-term capital gains, and not cutting personal and corporate taxes (except for small enterprises). However, like the previous budgets and other flagship policies of this government such as demonetisation and GST (goods and services tax) rollout it continues to disappoint in terms of its vision of reforms. And that, in the end, severely limits its effectiveness to achieve its objectives, whether to boost the growth rate, or to provide more relief to the poor. Clearly, a budget cannot please everyone as by definition, there are scarce resources and competing ends. Those who focus on the immediate concerns of the poor (and I consider myself staunchly in this group) would have wanted a greater effective allocation for the social and the rural sector and the MNREGA (Mahatma Gandhi National Rural Employment Guarantee Act) (for which the budget seems frozen). Most importantly, the budget disappoints on the most urgent economic problem of generating employment. According to latest ILO (International Labour Organization) estimates, the official number of the unemployed is 18 million. The actual number of the unemployed is much higher, as the organised sector accounts for just about 10% of total employment and the majority of our more than 600 million workforce are in low-paying informal sector jobs. Despite the significant rise in expenditure on jobs and skill development, the allocation is woefully inadequate given the size of the problem. The allocated amount of Rs. 5,000 crore (Rs. 50 billion) works out to roughly Rs. 80 per person in the workforce. A similar arithmetic applies to the health insurance scheme as well – given the number of potential beneficiaries, the budgetary allocation is meagre in per capita terms. Those whose priorities are growth and reforms would have wanted greater focus on simplifying taxes, more tax relief to boost private investment, and greater investment in infrastructure. The corporate sector may not say it publicly, but the Sensex did have a downward swing (reinforced by global headwinds in the days following the budget). The defence hawks will rightly note that for all the tough talk, the increase in defence expenditure in real terms has been small. The fiscal hawks will be right to note that there has been a slippage in the deficit reduction plan, with the deficit to GDP (gross domestic product) ratio crawling well above the red line of 3%. Yes, more people are now under the tax net but this has not really shown up in tax revenue yields. With rising oil prices and no major initiatives in cutting wasteful and regressive subsidies in fuel and fertilisers or disinvestment, clearly the budget cannot be given high marks on soundness of macroeconomic and fiscal management. Obviously, a budget cannot please everyone. But to be effective it should have one dominant and coherent objective, allowing for some adjustments and compromises on others. One has to play to one’s core strengths and convictions. And that’s where this budget falters. Narendra Modi was elected with a mandate of ushering in a new era of economic prosperity. His slogan of sabka saath sabka vikaas clearly captured the aspirations of a growing country in 2014, where more than half the population is under 28. Frustrated with the economic slowdown under the UPA (United Progressive Alliance) and the perceived absence of strong leadership, voters found a hero in Modi and a shining city upon a hill in the concept of the Gujarat model. From that point of view, it was reasonable to expect a budget with a strong focus on growth and reforms, with a consequent effect on job creation. Instead, this budget veers closer to a newer though much watered down version of the welfare state (following the original Nerhuvian version and the subsequent UPA-one) – but without sufficient resources being devoted to it and a clear vision as to how to achieve it. What led to this change in focus? Economic factors or the political compulsions generated by the upcoming Lok Sabha elections next year and the setbacks in the recently concluded assembly elections in Gujarat and the by-elections in Rajasthan, another BJP (Bharatiya Janata Party) stronghold? The economy’s rate of growth has slowed down, with the current estimate of the growth rate for 2017 being 6.7% while the average of the growth rate from 2009-2014 was 7.45%. If we look at IMF’s (International Monetary Fund) yearly projections, a growth rate of 8.1 was being projected in 2011 and 2012 for 2016 and 2017. The actual rates turned out to be 6.6 and 6.7. The IMF has revised the growth projection for 2018 downward from 7.7% (in the 2017 report) to 7.4% (in the 2018 one). What explains the diminished expectations? Bad luck alone cannot be blamed. In fact, the world growth rate has marginally improved during 2014-2017 compared to the last years of the UPA II (2011-2014); oil prices have fallen, which has given the government a bonanza of tax revenue; and there haven’t been any major weather shocks or natural disasters. From the growth and reform perspective, demonetisation and the chaotic roll-out of GST knocked off a whole percentage point from the growth rate, despite the favourable global tailwinds. And this figure from the Economic Survey is likely to be an underestimate, as the impact on the informal sector will not be adequately captured by the official numbers. But the fall in the growth rate tells only a very partial story. It certainly doesn’t fully reflect the economic hardship faced by the average person. According to a recent Oxfam report, the richest 1% of the Indian population captured 73% of the total gain in national wealth last year, while the poorest half saw their wealth rise by just 1%. This suggests that, unless you own a certain amount of wealth (analogous to owning a greater equity stake in the national economy), increases in the growth rate of GDP – either overall or in per capita terms – will not improve the quality of your life. Growth does not trickle down sufficiently in a highly unequal economy. Now, increases in national income come from gains in wages and salaries and returns to wealth (whether financial or non-financial assets). For the benefits of GDP growth to be spread more evenly, growth in labour income would have to high. This is difficult in a labour-surplus economy like India. While it is hard to estimate the extent of growth in labour income, reports suggest that the rate of wage growth even in the corporate sector has been lower than GDP growth in real terms. We can only guess what is happening with the wages and salaries in the informal sector or the agricultural sector. Thus, the decrease in the growth rate of the GDP – something that the Economic Survey starts off by noting – does not indicate the extent of stagnation or fall in the standard of living of the poor. This is the economic reality that the Modi government is facing and that explains the change in focus from growth to welfare. That per se is not a problem as far as I am concerned. To dismiss this change in direction as populism or to ask the overwhelming majority of the population to wait patiently for good days to come in the long run through trickle down, is admittedly not politically feasible but nor is it justifiable on any metric of fairness. In a democracy, one person has one vote while in the economic domain, a person’s influence is proportional to his or her wealth. It is the purchasing power of those with money that determines what will be produced and it is the lobbying power of groups that have money that at least partly determines what policies will be adopted. While economic policies cannot (and should not) ignore the immediate well-being of large parts of the population, it should be acknowledged that populism, unless tempered with some degree of economic realism, can be harmful. For example, before elections, governments have an incentive to pump up spending and lending but this backfires in the form of inflation. But ‘elite capture’ is a problem as well. Because of the way elections are funded, those with wealth have a disproportionate influence on policy. After all, what is the rationale for taxing salaries or interest earned on savings accounts or fixed deposits, but not touching capital gains? Why do small businesses face a much higher effective tax rate while various deductions are available to larger capital-intensive firms? What is the argument for not taxing wealth directly? Any criticism of the priorities revealed by the government as ‘populist’ misses this basic point. Political compulsions are very much part of policymaking in a democracy. The real question is, are the policies adopted to achieve the apparent priorities going to be effective? A famous politician once said that one campaigns in poetry but governs in prose. The burden of sky-high expectations and a big parliamentary majority was always going to be challenging for the Modi government. Also, as economic reforms always create gainers and losers, there were bound to be disappointments. But the prosaic numbers that are becoming evident in the cold light of day are much more disappointing than expected. First, there are the sins of omission. 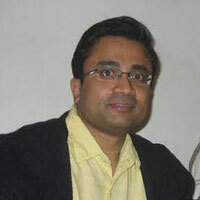 The biggest disappointments from the point of view of reforms include the inability to cut any major wasteful expenditure (such as regressive subsidies or administrative flab), lack of serious attempts at factor market reforms (such as land acquisition or labour regulation) or major disinvestment. For example, despite a go-ahead from the Union Cabinet in June last year, the Air India stake sale is unlikely to take off anytime soon as reportedly “…the government doesn't want anyone who is working for Air India to lose their jobs”. This is not what one would expect from a leader with the image of a bold decision-maker not afraid to take tough decisions, in the Thatcher or Lee Kuan Yew or Deng Xiaoping mould. Then there are the sins of commission. Demonetisation and the roll-out of the GST created uncertainty and chaos in the economy. It also led to a general sense of anxiety about the key element of the vision of reforms being targeting ‘black money’. This factor certainly contributed to the steady decline in the investment rate from 39% in 2011-12 to 33% in 2015-16. Yes, fighting corruption is a laudable goal. As much as cleanliness is a good objective, but using too much disinfectants or throwing them around recklessly can create health problems, anti-corruption initiatives must be designed taking into account the potential economic costs. Also, as much as cleanliness is one of several aspects of a healthy lifestyle but not all of it, fighting corruption should be viewed part of a broad-based effort to create a cleaner and healthier economy, and not the central economic objective of the government. A similar obsession with corruption marks the command and control-style implementation of the UID (Aadhaar ) scheme, which has resulted in incredible hardship to those already leading precarious lives on the margins of subsistence. Prevention of corruption and waste in our welfare schemes is a laudable goal but not at the expense of denying rations and pensions to the most vulnerable groups. Given the limited bureaucratic resources, it seems a misguided approach to try to bring everyone under the Aadhaar scheme at one go. The same command and control mindset is evident in the rise in the number of bank accounts under the Jan Dhan Yojana , many of which have a one-rupee balance in order to avoid being technically classified as a zero-balance account. The health insurance scheme proposed in this budget does not indicate that the government has learnt from the failures of the Rashtriya Swasthya Bima Yojana (RSBY). In the absence of a proper framework of monitoring and accountability, it is likely to lead to a hole in the budget, a bonanza for private insurance companies and medical institutions, and few benefits for the target population. The Planning Commission may be dead, but a central-planning mindset – which involves dictating allocations from commanding heights and using the coercive powers of the state machinery – is very much alive. Yet where tough decisions could have been effective in getting rid of some of the baggage of the license-control and public-sector Raj, the government has shown very little political will beyond the symbolic renaming of the Planning Commission. Sabka saath sabka vikaas is Hindi for collective efforts, inclusive growth. Aadhaar or Unique Identification number (UID) is a 12-digit individual identification number issued by the Unique Identification Authority of India (UIDAI) on behalf of the Government of India. It captures the biometric identity – 10 fingerprints, iris and photograph – of every resident, and serves as a proof of identity and address anywhere in India. Pradhan Mantri Jan dhan Yojana (PMJDY) is the Indian government’s flagship financial inclusion scheme. It envisages universal access to banking facilities with at least one basic banking account for every household; financial literacy, access to credit insurance and pension facility. Rashtriya Swasthya Bima Yojana is a health insurance scheme for the Below Poverty Line families with the objectives to reduce out-of-pocket expenditure on health and increase access to healthcare. This is the biggest disappointment with the Modi government. It has taken a statist approach with a single-minded focus on certain aspects of corruption. A more decentralised approach that empowers citizens, and puts the objective of economic development as the centrepiece of policy – or, as his original campaign promise put it well, sabka saath sabka vikaas – is missing. GST: A ‘good and simple’ tax? Union Budget 2018: What's in it for women?